Familien eremittkreps hører til i overfamilien , Paguroidea. 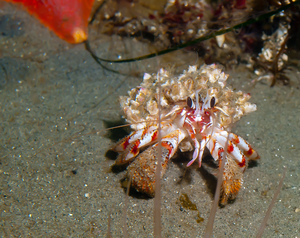 "Blackyed hermit crab" by Ed Bierman via Flickr, Creative Commons Attribution. 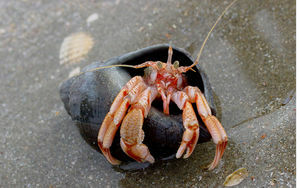 "Gewone Heremietkreeft (Pagurus Bernhardus)" by David Spreekmeester via Flickr, Creative Commons Attribution-NoDerivs. 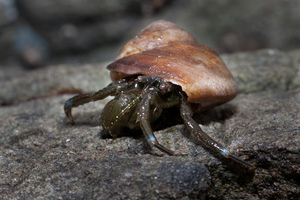 "Blueband Hermit - Pagurus samuelis" by Malcolm Carlaw via Flickr, Creative Commons Attribution.